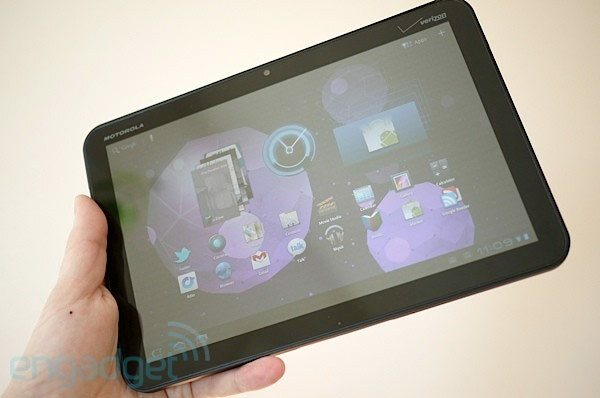 One Trick: How would you change Motorola's Xoom? How would you change Motorola's Xoom? Two Motorola products in a row here at HWYC? Say it ain't so! A week after throwing the Atrix 4G out for discussion, Moto's Xoom tablet is on the docket next. As the world's first commercialized Honeycomb tablet, it obviously launched with heightened expectations. That over-the-top Super Bowl ad didn't help, but we digress. For those who've chosen the Xoom over countless others, we have to ask: are you happy with your decision? How's the software treating you? Taken those cameras out for a spin yet? Battery life still living up to your lofty hopes? If you had the opportunity to tweak anything, what would you do? Shrink the form factor? Toss LTE in from the start? We're hearing whispers that Motorola may end up partnering with Mazda on the Xoom-Xoom, so get your recommendations in now. Now! Apple proposing smaller SIM standard? How would you change Motorola's Atrix 4G?